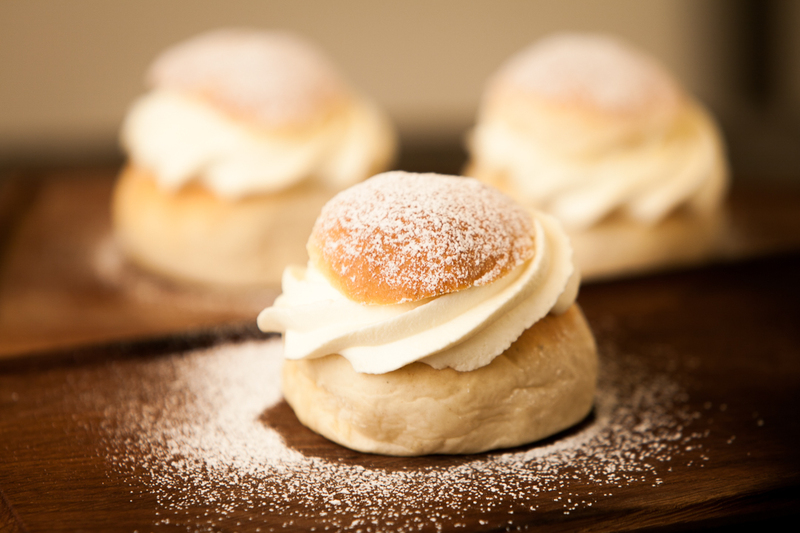 Semlor, or fastlagsbullar, are wheat buns filled with almond paste and topped with cream eaten on Fettisdagen (the Fat Tuesday). It might not sound that appetizing and for most of the history it probably wasn’t that amazing either, at least based on current standards. Before the Swedish Church went Protestant in the 16th century it was one of the staples eaten in the three days leading up to the Lent (“fastlagen”). And it really was a real treat compared to the food most of the people ate. Even though the Lent is long gone in Sweden the tradition of eating semlor have only gotten more bugger and they are now served from early January until Fettisdagen and are a matter of national interest. In the old days the bun was only filled with the almond paste and served in a bowl of hot milk. It was only after World War I that the lid was cut off and cream was added. 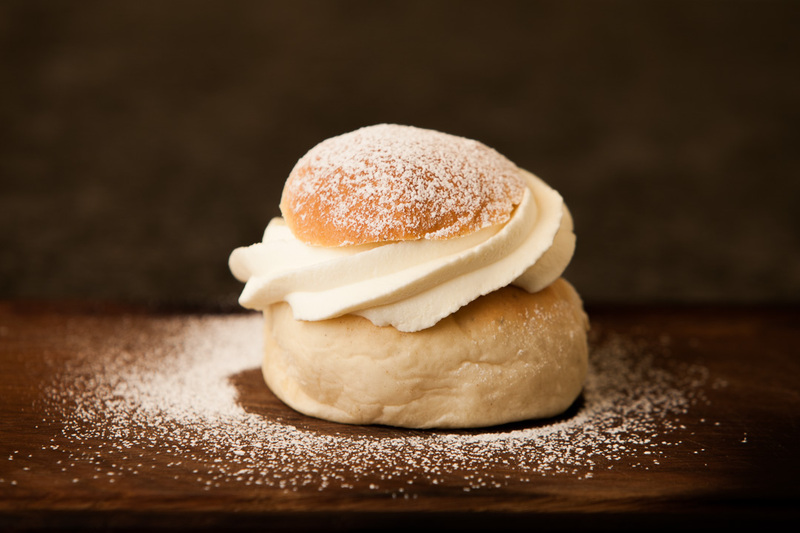 By this time it was also known as semla, from the latin word simila simply meaning “bun”. A good semla has a very soft, fresh wheat bun with a hint of cardamom. The almond taste should be prominent in the filling but it needs to be soft and mellow; not sharp, bitter or grainy. This is done by mixing it with the bun interiors and folding in a little whipped cream. The cream has to be really light and fluffy, balanced with little sugar. It’s important that the cream is not too hard, it’s much better to have slightly under whipped cream even though no one wants it watery. Even in the rest of the Nordics the Swedish semla has its very own place. 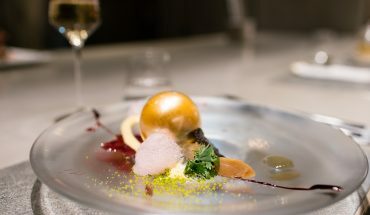 The Norwegians and Danish have their own traditions as well, with the Danish fastelavnsbolle containing raisins, candied citrus fruit peels and bitter orange. The Norwegians although, have just got it plainly wrong; they eat them on the Sunday, not the Tuesday before Lent, and just spritz a ring of either almond paste or jam with a ring of cream in a split sandwich bun. No hollowing out, wrong ratios and no finesse. 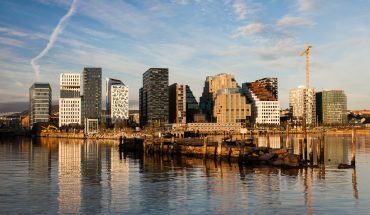 For all our Norwegians friends, this is how to do it. A wheat bun ready to be transformed into a semla. Crumb the yeast in a big bowl. Melt the butter and pour in the milk in the melted butter. Try to keep the mixture as cool as possible and pour it over the yeast and let sit for a few minutes. Mix together the dry ingredients; flour, sugar and cardamom. 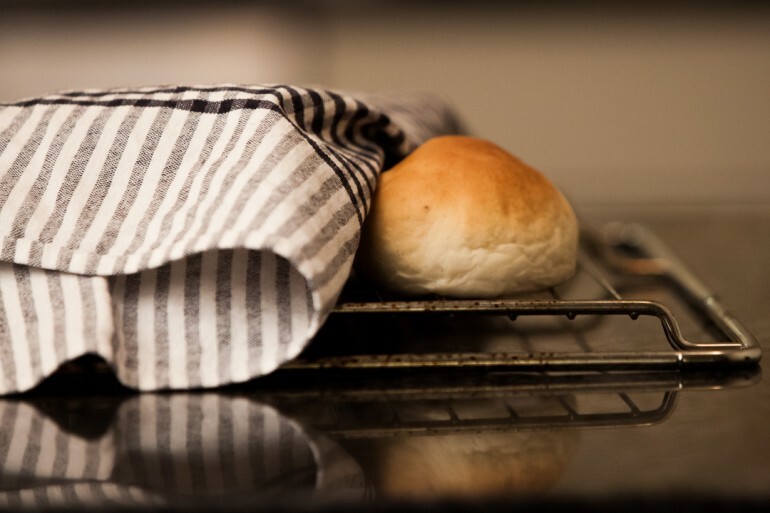 Stir the milk and yeast mixture and add the flour mixture while working the dough in a bowl mixer fitted with hooks. Add more flour if necessary to get the dough to it’s perfect state, when you can touch it without any dough sticking to your fingers. Let the dough rest for about 30-40 minutes (until it has doubled in size). Work the dough as little as possible and divide into 12 pieces. Roll each piece into a perfect ball and place them on a baking tray lined with parchment paper. If necessary, it’s better to work each piece harder and get rid of any break lines than to loose some air. Let the buns rest for 20 minutes. Bake in the oven for 6-8 minutes until golden and let cool on a rack. Start by cutting of the tops of each bun to form a lid and gently scrape out the bun filling with your fingers. Try to separate and crumble the filling as much as possible and place in a bowl. Crumble the almond paste into the same bowl and add one dash icing sugar. Using a mixer fitted with the whisks, add about 0,5 dl of unwhipped cream to the mixture and mix until completely combined. Whip the whipping cream in a separate bowl until it gets soft tops (do not whip til your wanted end state). Add some of the softly whipped cream to the almond paste mixture and gently fold into a combined mixture. You can choose how loose you want the almond paste filling to be, recommended is to add about a third of the volume of the almond paste filling in whipped cream, creating a light and fluffy mixture. By making the filling, your buns should already be prepared with holes in them. Gently add the filling, don’t push it in too hard. Whip the cream just a bit more until it reaches your desired consistency and add to a piping bag. Pipe the cream generously in a continuous circle on top of the bun with the filling. Add the lid and and powder everything lightly with icing sugar.